Imagine waking up every morning with perfectly curled lashes. 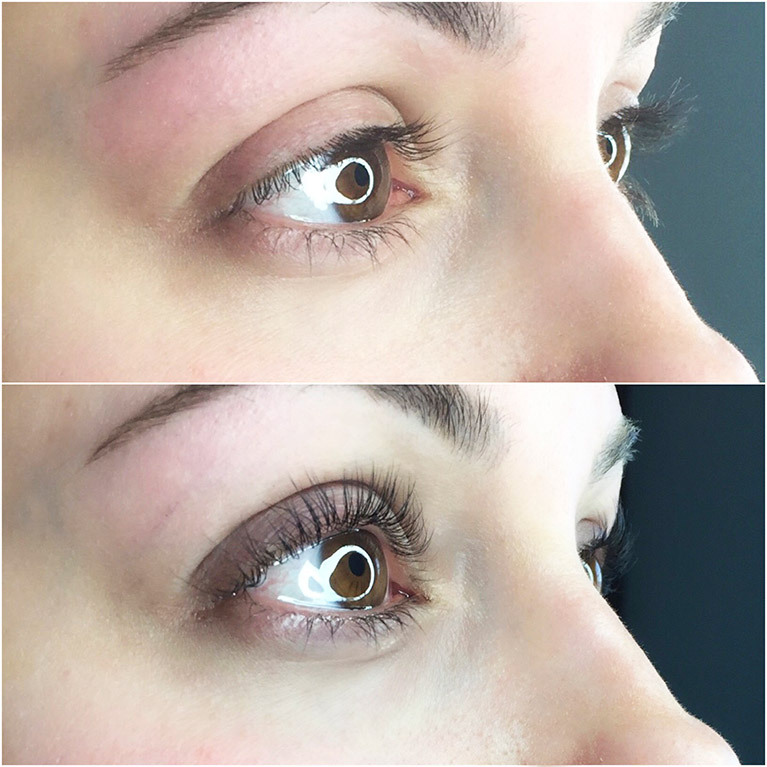 Lash Lift is a lovely alternative to eyelash extensions or for those whose eyes may be sensitive. With minimal upkeep, the results can last up to 12 weeks. A Lash Lift is essentially a perm for your eyelashes. At Love Beautiful Skin, we are very selective with the skincare products we use and are proud to have chosen Elleebana Lash Lift. Based in Australia for two decades, Elleebana eyelash perming products have been recognized as the industry’s brand of choice… and we couldn’t agree more! 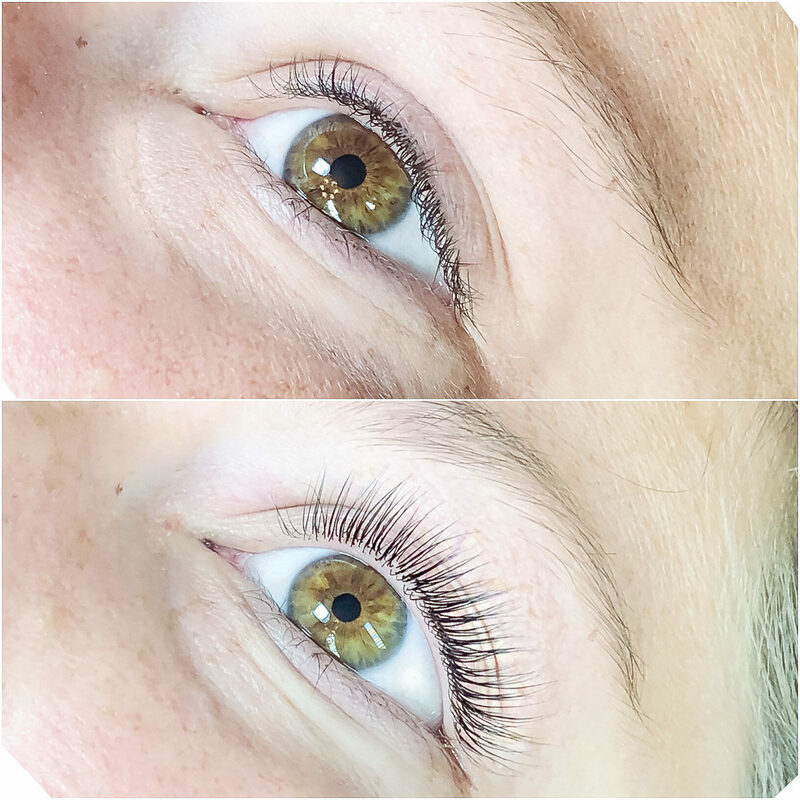 Lash lift is a beautiful enhancement to your natural beauty, giving your eyes and face a bright natural-looking “lift.” And with our natural dyes, ranging from light brow to blackest black (we can even add a hint of blue or violet), a lash tint on your lashes gives you subtle depth of color. Wear as-is for a natural look or enhance your lashes for a dramatic look with mascara. The Lash Lift service, with a tint, takes about one hour. *All before and after photos show clients without any makeup on their lashes. Is Lash Lift & Tint for you? A good candidate for Lash Lift & Tint is someone who is already happy with the length and thickness of their natural lashes. If you desire longer, fuller lashes we recommend you start using GrandeLASH-MD which is a lash and brow growth serum (sold at Love Beautiful Skin, $65.50). You will notice results within 6-8 weeks but it will take a full 3 months to achieve desired results. 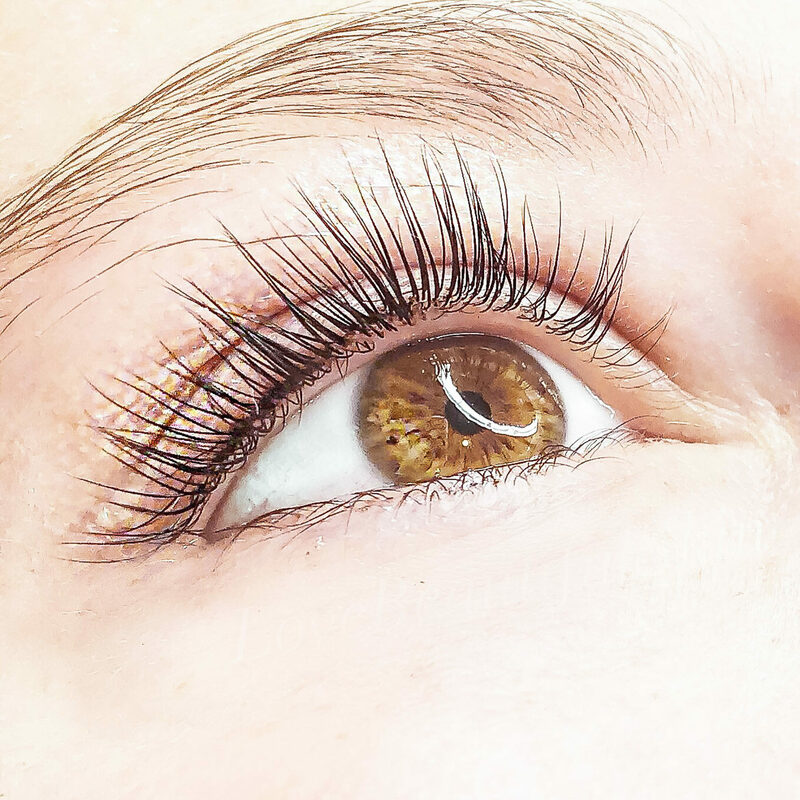 It is safe to receive a Lash Lift service while using GrandeLASH-MD but it may lessen how long the lift lasts because the lashes are in a growing out phase. It’s very important that you do not get your lashes wet for 24 hours after the service. That’s it! Also we ask that you please come to your appointment with no eye makeup on. There is no guarantee that the lift will work on everyone. If you have ever had a perm or chemical relaxing service done to your hair and had good results most likely it will work great for you, but if the chemical service didn’t last there’s a strong probability that it won’t take very well. Some people just have stubborn resistant hair. This service is not recommended for pregnant women. 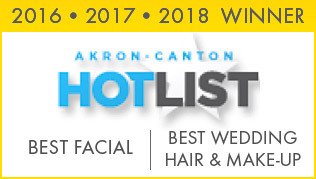 We are conveniently located in North Canton, Jackson Township, reach out to us today to book your appointment with one of our advanced skincare specialists. We’d love to meet you!